Will You Start 2018 Strong? Don’t Let a Lack of Planning Slow You Down! Once the holidays are over, our hearts and bellies are full with the past couple months of festivities. Mainstream media capitalizes on New Year’s resolutions with January as the peak fitness and health marketing month. From TV ads to promotions at gym, the new year is definitely the time to think about and start working toward the new you. For PT practices, this means that consumers are already thinking about being active and are very receptive to health marketing content. Thus, it is an ideal time of year to reactivate past patients and reach out to new ones. This campaign type coordinates with consumer messaging from other industries so it’s an easy option. For physical therapy practices, you can promote the general physical benefits of PT such as increased flexibility and mobility. 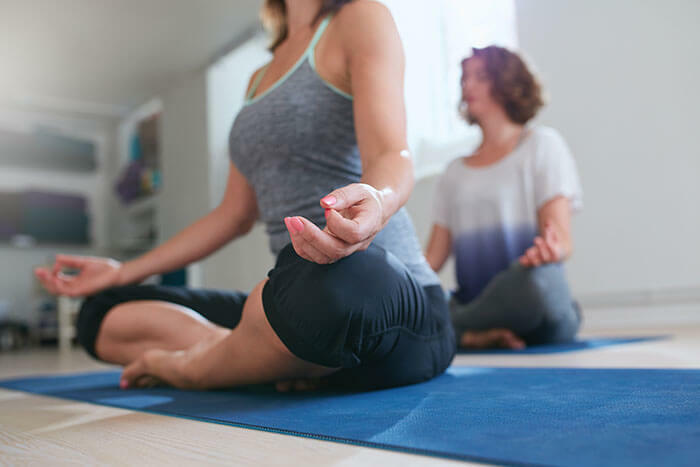 Additionally, patients will be attentive to lifestyle programs like facility memberships, personal training, yoga classes that are seen as complements to their workout routines. Emphasize perks of working with a small practice such as hands-on care, 1:1 sessions, licensed professionals etc. For general wellness marketing, a newsletter works best to really explain all the services you offer and to hype any promotions. Resolution messaging resonates well this time of year. You always want to focus on the positives when marketing towards someone’s self-image. Position your PT practice as the partner, supporter, and coach along the patient’s journey. A postcard with a sample resolution, such as “I want to run a 5K” or “I will play outside with my grandkids more” and encouraging imagery motivates patients. Describe how PT can help them stay safe while training, strengthen muscles and alieve pain. This type of health marketing is well suited to online marketing on your website, social media and via emails. You can post health and wellness tips or run a month-long social media campaign with weekly or daily resolution tips. Pain-based marketing is an excellent follow up to your early January health and wellness marketing. Planning this campaign in coordination with your New Year marketing helps create a consistent message and brand awareness. Recovery and pain management are something that many patients need help with, especially those just starting an exercise routine. Position your services as a way to help patients feel better and keep their resolutions. Advertise the long-term benefits of PT such as injury recovery and prevention and pain reduction without OTC pills. This content benefits from more in-depth explanation and works well in a newsletter or brochure format. Consider sending this to doctor’s too to educate them about how physical therapy can complement their care. As the new year approaches, its key that your practice is ready to hit the ground running. Starting with marketing that reactivates past patients and attracts new ones. We recommend you have several campaigns planned and ready to go. This allows you to have a clear picture of your January and February health marketing and expected patient volumes. For more physical therapy practice marketing tips and seasonal ideas, subscribe to the PT Marketing Blog!